Saudi Crown Prince and Egyptian President reportedly told PA chairman he has no choice but to accept Trump's peace plan. 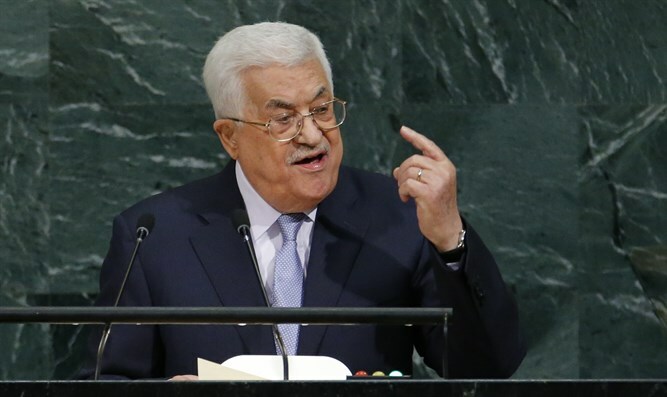 Leaders from two important Arab nations have advised Palestinian Authority (PA) chairman Mahmoud Abbas to accept the peace deal that will be offered by the U.S., two advisors to Abbas told i24news on Thursday. Saudi Crown Prince Mohammed bin Salman and Egyptian President Abdel Fattah Al-Sisi both told Abbas that he has no choice but to be pragmatic, according to the sources. Abbas was told that Arabs also must accept the new realities and acquiesce to the demands of the U.S. under President Donald Trump. The Egyptian and Saudi leaders told Abbas not to be stubborn and continue on challenging Israel and the U.S. Abbas was told that it would be best to accept the peace deal now, otherwise he would regret not doing so in the future, according to i24news. Abbas has sought an alternative to direct talks with Israel and has refused to consider the Trump administration an honest broker for negotiations since Trump’s December declaration recognizing Jerusalem as Israel’s capital. Abbas is now under immense pressure both on the foreign front, from Arab countries like Egypt and Saudi Arabia, and the domestic front, from his own constituency that is widely opposed to the measures proposed by Trump, according to i24news. Abbas was advised by the Saudi Crown Prince and Sisi to take what’s offered, especially at the rate Israel is building “settlements”, the report said, and was told that in a few years he may not have anything to negotiate about. A Palestinian source who is privy on the situation said that Abbas has told a number of Arab leaders he met with recently that he is worried he will be accused of treason by Palestinians. Trump’s peace plan has yet to be formally announced, but the Arabic newspaper Asharq al-Awsat recently published what it claimed were the details of the plan. The veracity of the report is unclear as it cited unnamed French officials as its sources.